Empire’s Taraji P Henson is writing her autobiography. It will cover her childhood in Washington DC to being a single mum to finding fame in Hollywood including a Best Supporting Actress nomination for her role in Benjamin Button. The book, which doesn’t have a title yet, is due for release in 2016. Oscar winner Eddie Redmyane could be heading to the world of Harry Potter. He is now the front runner to play Newt Scamander in Fantastic Beasts And Where To Find Them. The film trilogy is set 70 years before the Potter stories and is being written by JK Rowling herself. No confirmation yet, but to get Eddie just after his Oscar win would be a big deal. More brilliant casting news regarding the live action version of Beauty And The Beast. 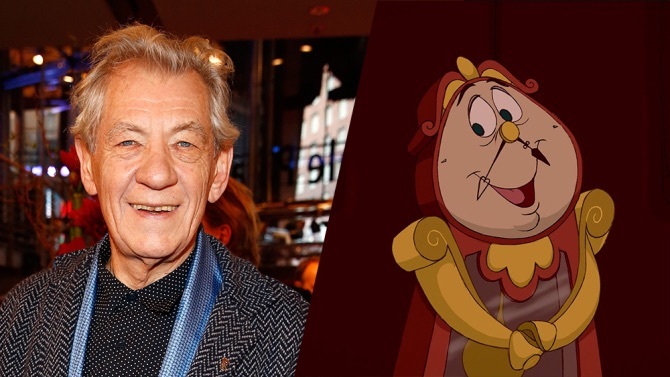 Cogsworth, the Beast’s butler, has been cast and he’ll be played by Sir Ian McKellen! Sir Ian joins Emma Watson, Dan Stevens, Emma Thomspon, Luke Evans, Josh Gad and Kevin Kline in the film which is being directed by Bill Condon. It’s due for release in March 2017. News of a couple of sequels that I’m surprised have been given the greenlight: Garrett Hedlund and Olivia Wilde will return for Tron 3. Tron Legacy made $400 million at the box office so I suppose a sequel isn’t that unexpected, but I wouldn’t say it was a huge critical success. Filming on part three will start this autumn. Meanwhile, Need For Speed is also getting a sequel. The sequel is being ‘driven’ by Chinese investors after the original did really well there. No word yet on whether Aaron Paul will return. Daniel Radcliffe will play the creator of Grand Theft Auto in a new film for the BBC. The story will focus on the fight between GTA creator Sam Houser and the Miami lawyer who wanted it banned for being too violent. Filming begins on April 20. Dates have been set for both the Oscars and BAFTAs for the next three years. In 2016 the BAFTAs will take place on February 14 (so it could be a very happy Valentine’s Day for some) withe the Academy Awards following 10 days later. In 2017 the BAFTAs take place on February 12 with the Oscars on February 26. Slightly different in 2018, the BAFTAs will be on February 18 but the Oscars will be on March 4, that’s so the ceremony doesn’t clash with the Winter Olympics. 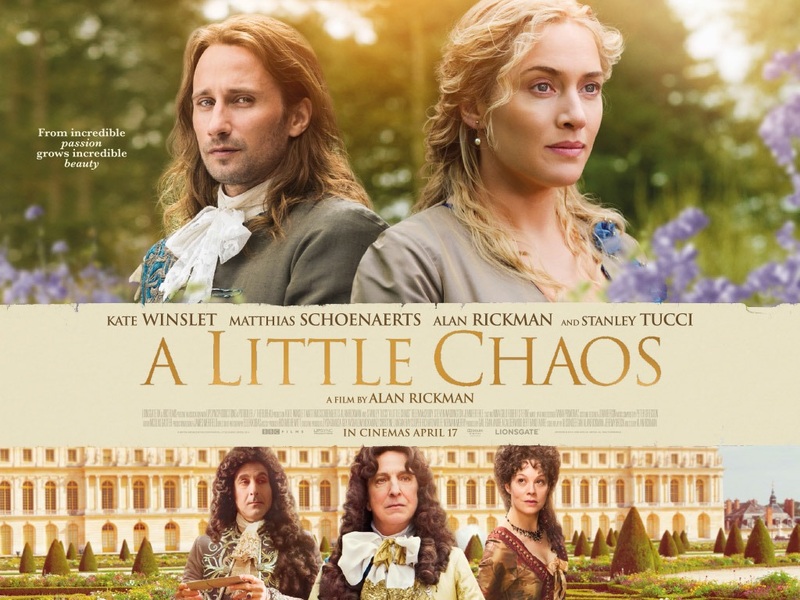 Busy week for Alan Rickman as he promotes his latest film, A Little Chaos. He’ll be joined by co-stars Kate Winslet and Matthias Schoenarts at the UK premiere at Odeon Kensington on Monday. On Wednesday he takes part in BAFTA’s A Life In Pictures as he discusses his career in front and behind the camera. And he’ll finish the week at Curzon Mayfair for an opening night Q&A for the film. 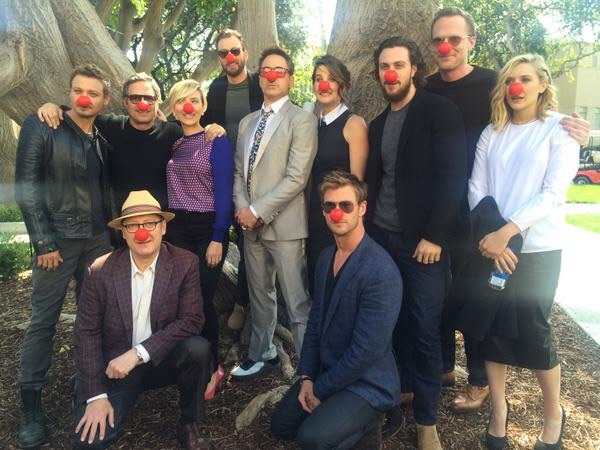 The Avengers will be taking over LA on Monday night for the world premiere of Age of Ultron. Everyone’s expected on the red carpet including Robert Downey Jr., Chris Hemsworth, Chris Evans, Mark Ruffalo, Scarlett Johansson and Jeremy Renner plus they’ll be joined by new recruits Aaron Taylor Johnson and Elizabeth Olsen. The UK premiere takes place at Westfield London on April 21. RDJ, the two Chris’s and Ruffalo are all expected.